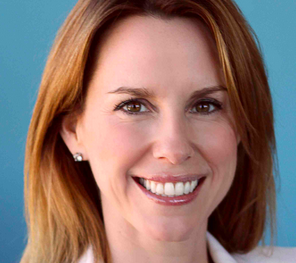 Jennifer O’Connell is reportedly exiting Core Media Group as part of a management restructuring as the Apollo Global Management-owned company aims to refinance more than US$300 million in debt. Core’s head of US television has left the American Idol producer, with Matt Sharp, CEO of subsidiary Sharp Entertainment, now taking on Core’s TV projects. O’Connell, a former NBC and Shed Media executive, has been with Core since 2012, overseeing its scripted and unscripted TV programming. In that time the firm as produced shows such as Bravo’s Euros of Hollywood and OWN’s Love in the City. Her departure comes after that of VP, development and production Jenny Ramirez, who joined has Irwin Entertainment. According to Variety, which first reported the story, the management overhaul came as Apollo aimed to refinance the group. Core is part of the joint venture that Apollo jointly operates with 21st Century Fox, but operates separately to the Endemol Shine Group side of the business, which now has comfortable finances after successful refinancing. Core and Endemol Shine Group share back-end services, but has a separate capital structure, which Variety reported was likely due to its heavy debt load. Core has reportedly been struggling with repayments of debts, with a Variety source saying Apollo deliberately missing a recent payment on purpose as part of the refinancing bid, not a liquidity issue. Subsidiary Sharp has been recruiting executives from Endemol Shine in recent months, with Lyle Smith from 51 Minds joining as senior VP, production and ex-Shine America exec Mike Aho said to be becoming senior VP, factual entertainment. New York-based Sharp (Man Vs. Food) has also been linked with launching a West Coast office in the near future. Core, which acquired Core (then known as CKX) for more than US$500 million in 2011, couldn’t be contacted for comment. The firm produces Fox’s American Idol through UK-based subsidiary 19 Entertainment and also owns format rights to So You Think You Can Dance. It previously owned the likeness rights for Elvis Presley and Muhammad Ali.